Today, Pokemon World Championships 2018 will officially kick off at Nashville in the United States. 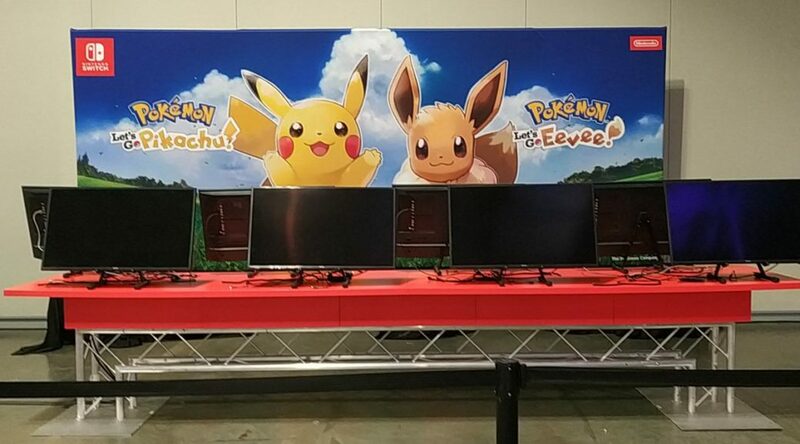 Photos of the Championships have started streaming in from social media, and one photo that caught our attention was this photo of 8 demo stations that will allow players to try out Pokemon Let’s GO Pikachu/Eevee. The demo stations weren’t announced by The Pokemon Company prior to the Championships, so it’s still rather interesting. There may be an announcement related to the game later today by Game Freak director Junichi Masuda.